To access the Olympus Coliseum tournaments, visit the Underworld Entrance in Olympus Coliseum and talk to Panic to play a tournament. After winning each tournament, you earn a trophy. After you earn all the trophies to each tournament, you will access the Underdrome Entrance, where the harder challenges take place. Simply walk up to Hades in Hades' Chamber and talk to him. He will let you choose a tournament. These challenges are recommended at a higher level. 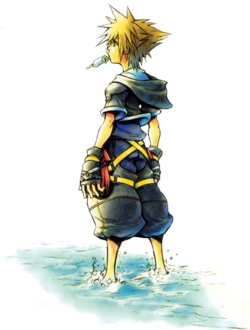 The final Paradox Challenge, The Hades Paradox Cup, consists of 50 rounds and is recommended at level 99 of the game, using the Fenrir Keyblade, which is unlocked when defeating Sephiroth. This page was last edited on 2 October 2017, at 01:12.